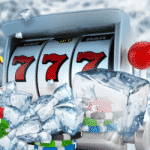 Jackpot21 casino has launched into April with a collection of powerful games and immensely rich promotional offers – just what the players could hope to gain out of such experience. If you are already part of the Jackpot 21 program, then don't have to do anything, except for choosing the bonus you want to receive, and making a deposit that would be required to unlock it. Of course, you shouldn't forget about redeeming a special promo code either, because only then you will be able to receive such bonus. Speaking of which; there are four different offers to choose from: 25% Match up to £/$/€500, 15 Free Spins, 30 Free Spins, and 75 Free Spins. The bonus spins are provided on certain games too, such as The Great Albini, Sugar Train, or White Rabbit slots. Choose whichever offer you like best, or better yet – claim every single one of them; up to a total of three times each. The Awesome April campaign lasts from 1st to 31st of this month, which gives you all plenty of time left to gain these funds and play some of the hottest online games at online casino Jackpot21. Further terms, conditions, and wagering requirements are going to apply.